Discover rural cottages, rustic farmhouses and modern apartments in the UK and beautiful villas and gites overseas. With over 13,000 properties to choose from you are sure to find your dream holiday. Choose to stay for a short break of 2, 3 or 4 nights or stay 7 nights or longer. Prices start from as little as £9 per person, per night which is excellent value. Also thousands of properties are pet friendly so all the family can enjoy a holiday! Choose from a wide choice of self-catering holidays in the UK, with family holiday parks, lodges, boating holidays, cottages and city break apartments. The range includes fun packed seaside caravan parks with extensive on site facilities, select clusters of boutique style rustic lodges complete with hot tubs to your very own narrow boat to meander along the waterways. The MGOC has teamed up with Encore tickets to provide members with discounts on theatre tickets you can also book theatre packages at a discounted rate. 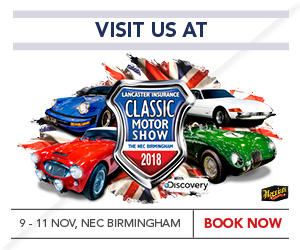 Once again the MGOC have teamed up with Lancaster Insurance Classic Motor Show to offer members discounted tickets. Macdonald Hotels MG Owners' Club Members will receive the following benefits on over 40 locations throughout the UK. Up to 25% off at Macdonald Hotels, a £10 voucher per room per night to spend in the bar, restaurant, spa or golf course. Enjoy 12 boutique wines from just £3.99 a bottle with this voucher! 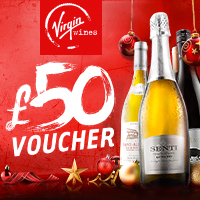 Virgin Wines are delighted to offer MG Owners Club members a massive £50 wine voucher to spend on the wines of your choice this Christmas! Choose from exciting 12-bottle mixed cases starting at just £3.99 a bottle or browse the website to pick and mix your own selection – With over 550 top-quality bottles to choose from and a brilliant 100% satisfaction guarantee, you'd be mad to miss out! This generous £50 voucher acts as the perfect introduction to the cracking wines and fantastic savings you'll enjoy as part of the Virgin Wines' Discovery Club. Claim your £50 wine voucher today! Kwik-Fit - The MGOC has teamed up with Kwik-Fit to provide members with free mobile tyre fitting. APH - Airport Parking, Hotels and Lounges. MG Owners' Club Members can save up to 15% on Airport Parking and 10% on other facilities. Skytag The MGOC has teamed up with Skytag to offer you the chance at getting your vehicle protected for half the normal price. IAM - Institute of Advanced Motorists This leading UK charity is dedicated to road safety and raising driving standards. MG Owners' Club Members can benefit from a £10 discount off the IAM's Skill for Life driving improvement package. Are offering MGOC Members two individual breakdown policies which will cover your MG! Whether you're only looking for cover in the UK, or you're planning on venturing across the channel to see the continent, you can rest assured that these breakdown offerings will be with you for the journey ensuring you're not left stranded.